Not long after getting a new camera I stopped by a local city park to snap a few pictures while running errands late one September afternoon. 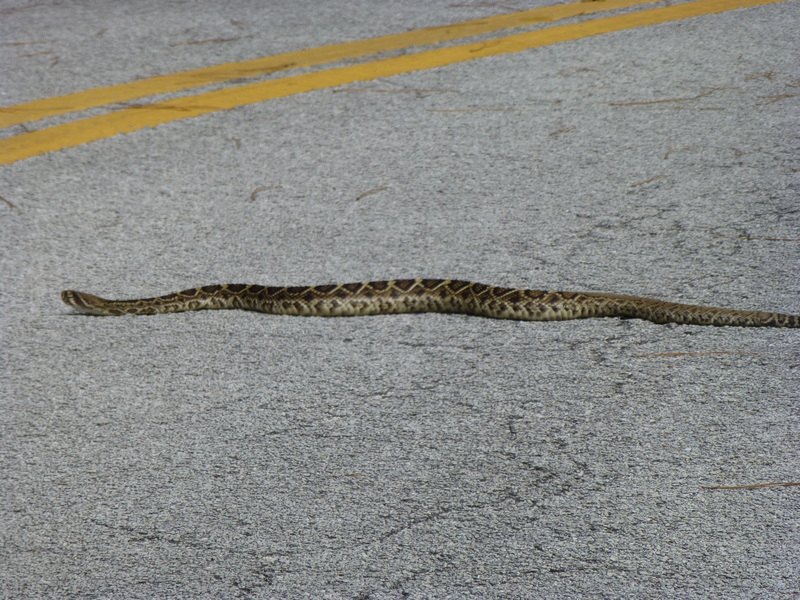 While there are alligators in many of the waterways of North Central Florida, when walking through rural areas – and sometimes city parks – it is more important to watch the ground for snakes, particularly in the warmer months. Even though this park is in the city limits, it’s heavily wooded areas are home to lots of wildlife. 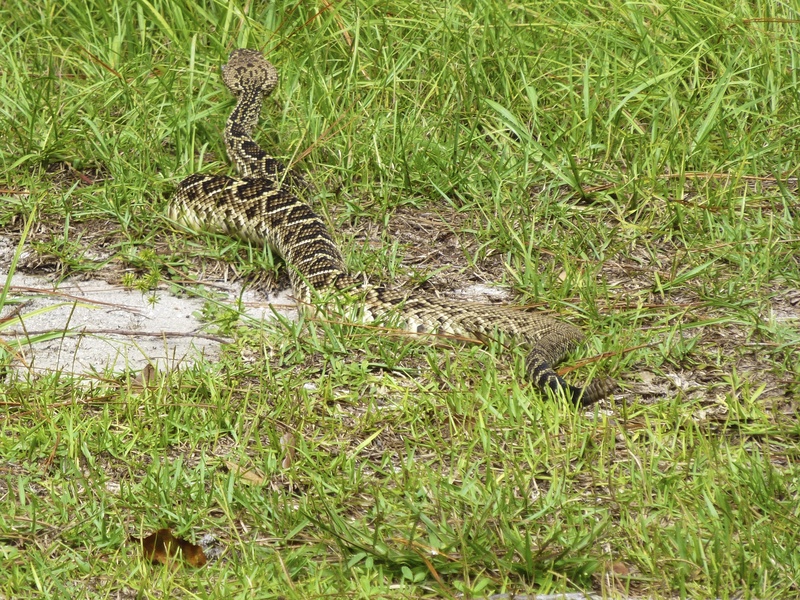 There are four different types of poisonous snakes native to the state of Florida, and this approximately 5 foot long Eastern Diamondback Rattlesnake belongs to the largest of the group. He was soaking up the heat and sunlight on a lightly trafficked park road, but you can see how difficult he becomes to spot as he moves into the grass. I even had a hard time finding him through my long lens, which is why some of my photos are off-center. 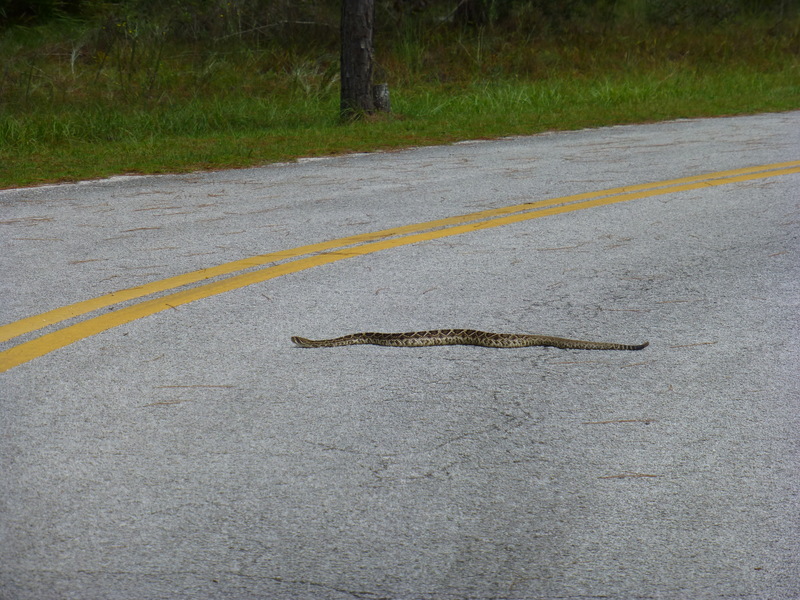 Having a healthily respect for rattlesnakes, I was shooting from inside my car. And, yes, his tail was rattling like crazy. 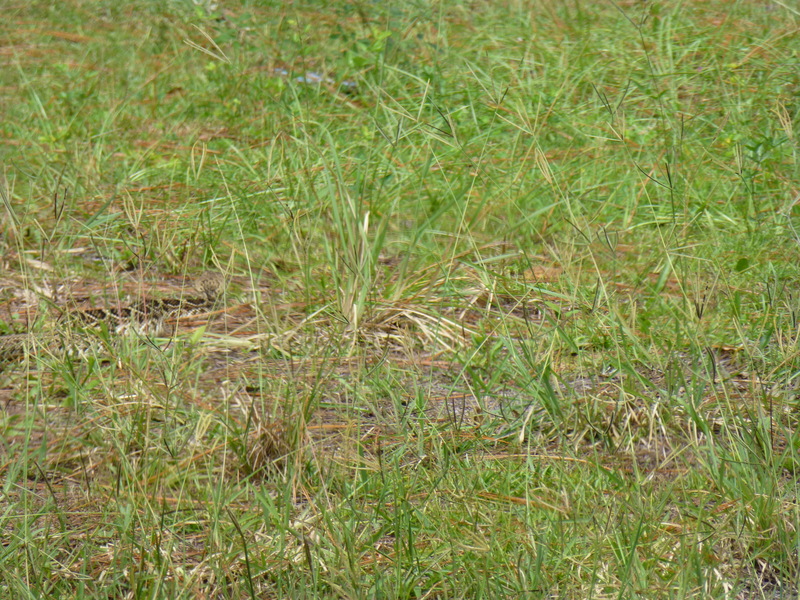 See how well he blends into the grass on the left side of the next photograph. And then, he was gone…. 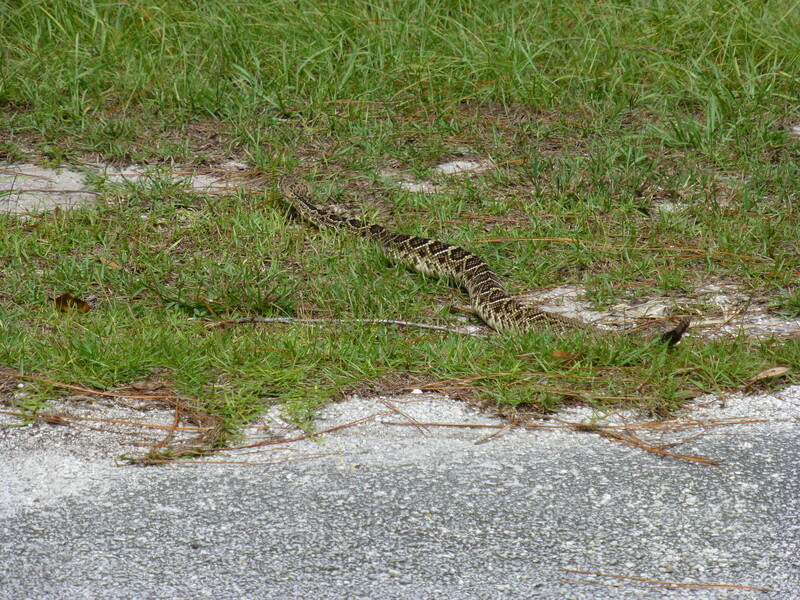 This entry was posted in North Florida and tagged eastern_diamondback, florida, northflorida, rattlesnakes, snakes. Bookmark the permalink.